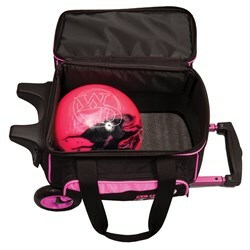 The Icon single roller bowling bag is a fun bag from Columbia. 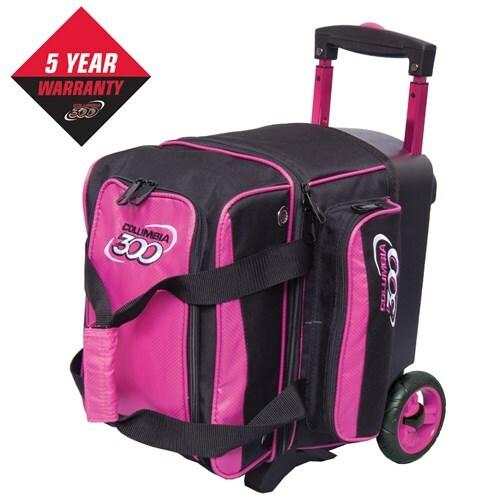 The bright colors with coordinating handles and wheels will cause your competition to do a double take. This bag is equipped to hold one bowling ball, a pair of shoes up to a men's size 15 as well as accessories. 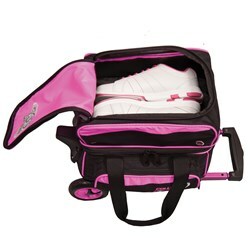 Due to the time it takes to produce the Columbia Icon Single Roller Pink ball it will ship in immediately. We cannot ship this ball outside the United States.